Tentworld: Tent selection guide. Never been camping? It's important to choose the right tent for you. Tent selection guide. Never been camping? It's important to choose the right tent for you. If you're like many of our customers, you have never been camping before. This article will help you get your head around the vast range of tents to allow you to choose one right for you. 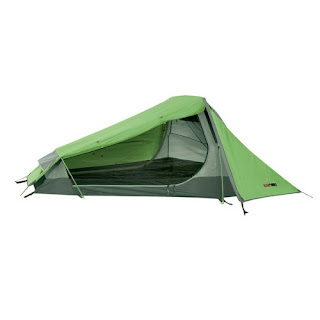 The OZtrail Chateau 12 is a supreme family tent. Great for a long stay on Fraser Island. The casual camper will generally go camping once or twice a year generally for a few days each go. The casual camper generally does not own a four wheel drive and will often take other styles of holidays throughout the year as well. The casual camper will typically use camping as a supplement to their holiday requirements before going on their other expensive holiday at a resort or overseas. Festival, rodeo and muster attendees generally fall into this category as well. The OZtrail Breezeway 4V is a great choice for the casual camper. The ideal tents to be used for a weekend away is a small dome tent. They pack away small and will fit in the boot of your car with ease in addition to this they wont break the bank. These campers embark on two week holidays where they will pack up their whole camp site most days, often driving many hours getting to their next destination. For these guys, they want the quickest pitching tent around because they do not want to spend half their day setting up and pulling down their camp site. It needs to be no fuss so they can get back onto the road and get into it. The ideal tent for performing this sort of work must be quick to put up and pack down. Owners of these tents will generally sacrifice a little space and extra money for this privilege. 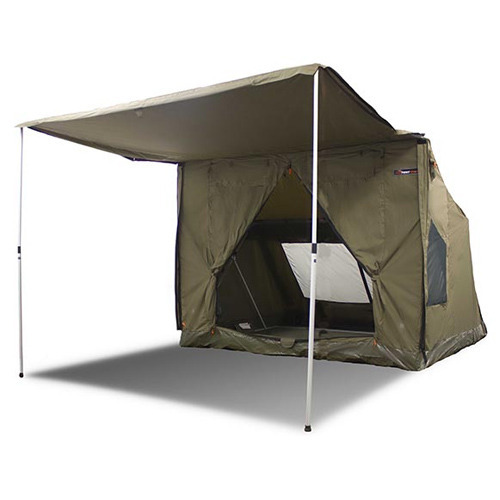 The OZTENT RV5 is very popular amongst tourers. There are many competitors in this market, each with their own features and benefits which is a separate discussion. 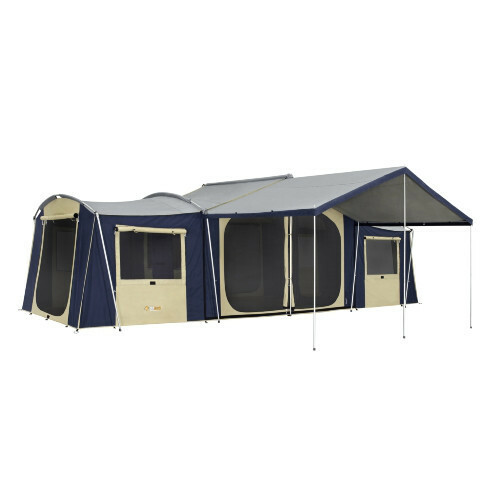 Examples include: OZTENT RV1, RV2, RV3, RV4 and RV5 the OZtrail Fast Frame range, OZtrail Tourer range, Jet Tent range and the Blackwolf Turbo range. These very lucky campers will generally set up camp for a week or more really settling into a location and getting down to relaxing. Often these campers will go as a family or as a group of friends. 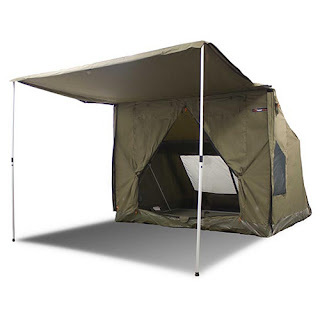 The OZtrail Chateau 12 is the mother of all cabin tents. This will impress your mates. For these campers, this is what their whole year revolves around. This is their main holiday of the year and they will spend a lot of time in and around their tent. Therefore it is important that they are comfortable, and have a little more space to themselves. 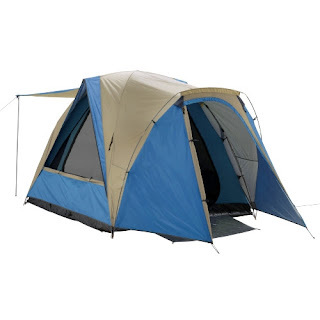 These larger tents come as cabin and dome tents and will generally take up to an hour to set up. Once they are setup they are very comfortable and offer a great amount of space for the family to share. When hiking everything is about weight minimisation. Generally these tents will have only one pole, typically made from aluminium and will sleep two people. Hikers tend to go on shorter holidays and will pack their tent up into their backpack every day. The Blackwolf Mantis II is a great hiking tent with two doors you wont be crawling over each other to get out! The swag comes in varied styles but in the end they all serve the same purpose they are a place to sleep. Commonly swags are to sleep one, but there are double swags on the market as well. Swags are commonly made from canvas, and are all independently water proof and eliminate the need for a tent or other shelter. My CampEzi Rafferty King Single Swag in action on Fraser Island. Swag camping represents simplicity and ease at its best. Many swag campers prefer this to anything else as they feel more removed from the hussle and bustle and are in touch with the environment around them. 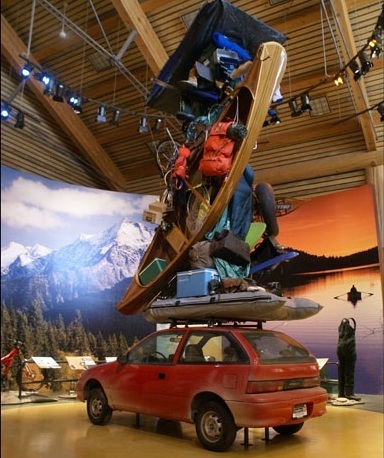 Swags however do not pack up really small, and vehicle space is a consideration if travelling in a sedan. This is why you regularly see swags on the back of utes, where space is not so much of a concern. Swags are large, because they contain a foam mattress inside and generally owners of swags will roll up their sleeping bags, blankets, pillows and their favorite teddy inside. This also makes packing up simple. There is no need to stuff sleeping bags back into their sack. No need to roll up a self inflating mattress or pack up your tent. Roll up your swag, throw it in the back of your ute and you're done no worries no hassle.